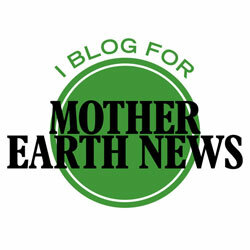 For the most part, I write about gardening and modern homesteading over at Mother Earth News these days. I hope you’ll check it out. But sometimes my enthusiasm is just too big for one blog. This is an exciting time of year for avid gardeners. Tiny leaves erupt from the ground and unfurl where seeds were buried yesterday. Early crops such as salad greens and lettuces are in full production mode, strawberries are juicy red, and summer crops like squash are beginning to produce. At this time of year, it’s not so busy that a gardener-food preservationist feels overwhelmed, yet each day brings evidence of progress and growth. It’s a time full of hope, exuberance, and plenty. I adore this time in the gardening calendar. Mornings and evenings are cool enough to enjoy garden work without breaking a sweat, whether weeding or gathering part of the evening’s meal. Hardly ever do I leave the garden without taking a few minutes (which often stretch into bigger chunks of time) to sit on our garden bench and survey the success of our efforts. A couple of weeks ago, our grandchildren were here for “camp” ( a story for another time). The nine-year-old asked if she could go down to the garden—a question sure to garner a hearty “Yes.” A cousin spotted her from the deck and wondered who she was talking to. Sure enough, her mouth was busy as she wandered from plant to plant, her hands reaching out to release the aromas of various herbs. Indeed! I encourage them, I apologize when the weather is uncooperative and urge them to hang in there, I thank them. They bring me great pleasure and I can’t help but give that pleasure some expression. Asparagus has come and gone but we had a bumper crop with enough to freeze for winter eating. Now, the plants are building strength for next year’s harvest. Mutant plant center front may be conjoined quadruplets. We’re waiting to see just what this one does. Green Arrow shelling peas have both blossoms and pods now. Cucumber plants have begun climbing their trellises. This is the third year for our hardy kiwi plants. Waiting impatiently for flowers and fruits. Blackberry flowers–we’re adding more and more fruit plants to our garden. When it’s time to eat squash, we know the garden is in full swing. This is the first time we’ve grown yellow zucchini. Eager to give them a try. We’ve eaten several meals of Bright Lights chard and had extra to freeze already. These will keep producing all summer. We grow flowers in the veggie garden to encourage pollinators, but these wild daisies are a natural occurrence. I just love them. Thanks for stopping by and stay tuned. More to come as the garden matures. I’ve been participating in a social media challenge called 52 ancestors in 52 weeks. It’s an effort to encourage learning about and sharing our various family histories in small, doable chunks. Participants are given a weekly prompt to start them on their way. Earlier in the year, one of the prompts was “census.” This is what I wrote. If Hardy was like most folks who were relegated to the poorhouse, no one ever came to see him. Maybe he had no family at all. But neither the absence of visitors from the outside world nor his developmental disability did anything to dampen his enthusiasm for life. He was a good-natured, cheerful sort—until he was pushed too far. Then he’d curse a blue streak. He never missed a service at the nearby church—always sat in the front row. He couldn’t carry a tune in the proverbial bucket, but he sang his heart out on every hymn, always with hymnal in hand, even though he couldn’t read the words. I grew up hearing tales about Hardy from my dad and his brothers, who lived in the poorhouse during Granddaddy’s tenure there. Whenever our family gathered for reunions, Hardy’s name inevitably came up. He was discussed with animated affection. This is the tale they shared most frequently. On the rare occasion the boys could scrape a few coins together, they thought it was a hoot to offer Hardy a choice between a penny and a dime. He always chose the penny because it was bigger. At least that’s what they thought. They were grown before they figured out what he surely had understood all along: if he’d ever taken the dime, they’d have stopped playing the game. Instead, he maintained a growing collection of their pennies. It took a while, but with that realization, the brothers finally got their comeuppance. I got curious about Hardy. I asked my genealogy-savvy husband to check the poorhouse census records. All these years I had thought Hardy was a kid near my dad’s age. But we discovered that when my then nine-year-old dad showed up at the County Home with the rest of his family, Hardy was forty-seven. He was born in 1883. Why, Hardy was even older than Granddaddy! We also learned that Hardy had arrived at the poorhouse long ago—sometime between 1900 and 1910. So, he had been there at least twenty years, perhaps closer to thirty, when Daddy’s family moved in. According to newspaper reports, poor nutrition marked poorhouse fare in the early years of the twentieth century. Before Granddaddy took over management of Johnston County’s poorhouse, fruits, eggs, milk, and other dairy products were a rarity for the residents. Surely, such a diet would have a negative effect on one’s longevity. I already knew that for the average person born in the late 1800s, like Hardy, the average life expectancy was only forty-two or forty-three years. That got me to wondering what happened to Hardy. Census records from 1940, the most recent available, showed Hardy was still living at the County Home. He would have been fifty-seven at that time. He had already defied the odds. Further exploration led to the discovery that, in spite of all the cards stacked against him, Hardy lived to the ripe old age of eighty-nine. Over time, poorhouse records seem to have disappeared. Only the rare newspaper article and a few official reports remain to provide any poorhouse history at all. 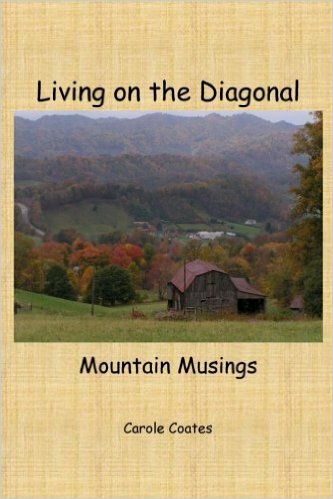 Hardly anyone is left to tell the stories of the people who lived there. If he’d had a chance, I wonder what Hardy might have told me about his life at the poorhouse, about his family, about his relationship with my dad and his brothers. About how he defied the odds. What was the rest of his story? Just like the rest of us, Hardy—and everyone else who lived at the poorhouse—had stories to tell. We’ll never know what they were. But they deserve to be honored. The former County Home in Johnston County, NC, is currently an assisted living facility. 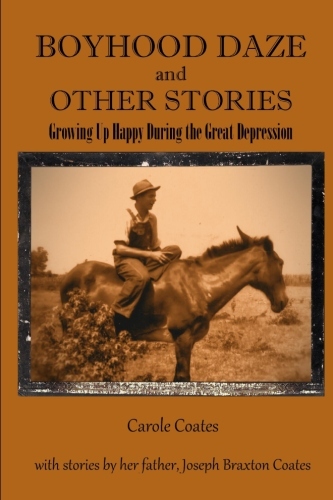 You can learn more about Hardy, other poorhouse residents, and the County Home itself in my book, Boyhood Daze and Other Stories: Growing Up Happy During the Great Depression. that it’s time to stop. Anchor your feelings in love instead. Spread the word: its time is over. behind cupped hands at her own subversions. while she rounded up a hen to chop off its head. before the evening’s fried chicken dinner. as if I might want such awful offal. She practically forced me to be creative. to share with another generation. but I knew—I knew he adored me. against my cheek, no words were needed. Black cows give chocolate milk. and two long—keeps ’em from falling. when dawn had hardly cracked. Why? I laughed and pulled the covers higher. He couldn’t sleep—why should I? Was he lonely, awake alone? with them, mind long gone, bedridden. when the final call came?